A late nineteenth century Victorian Italianate hotel, with extensive use of tall upper storey bay windows and distinct ground-storey arches. This was made possible by the use of cast iron columns. 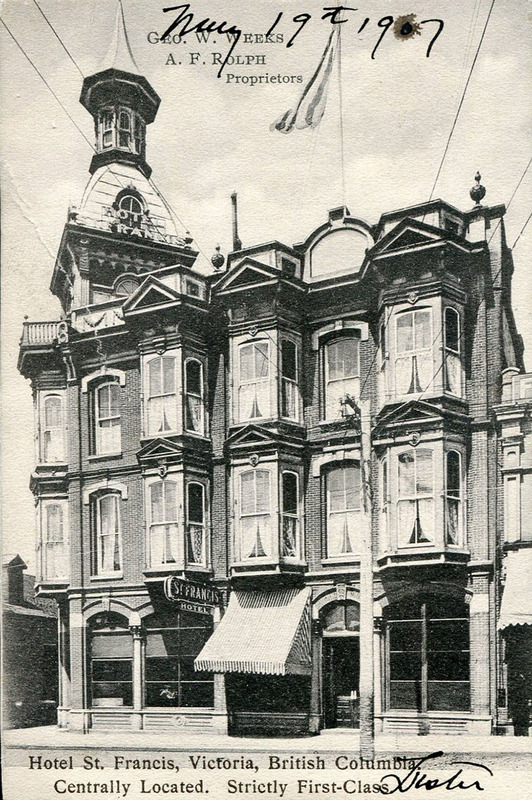 An expansion in 1888 doubled its size to include additional rooms, with the unique cantilevered corner bay windows, and a west facade over Oriental Alley. Sadly the ornamental corner tower has been removed.